The asset is rising on no distinctive news, as the behavior is seen as a marker for renewed altcoin speculation. 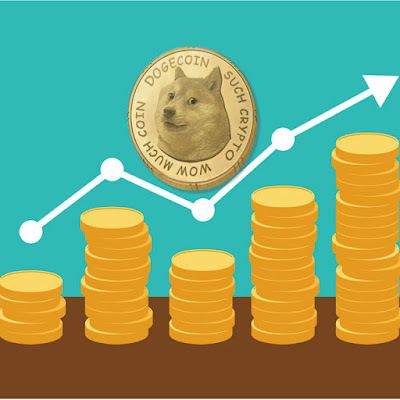 Dogecoin (DOGE) kept some of the gains after the latest rally, preserving its gains above $0.002. DOGE also traded between 50 and 60 Satoshi, sparking suggestions of once again gaining at Bitcoin (BTC) prices. "Dogecoin Price April 1 Rally Moves Higher"
In the past, DOGE has been known for extended rallies and crashes, which lead to gains potential for traders with short time preference. DOGE has stabilized around the $0.002 level, still far from penny prices, which are seen as the highest possible price for the asset. The next season will commence once @cz_binance personally adds $DOGE to Binance single-handedly pushing it to ATH and back in the top 10 where it belongs. Cryptocurrency will be set ablaze and the only way to stop it will be adding Dogecoin as a BitMex contract. DOGE has moved into the spotlight along with Litecoin (LTC), as the small-scale asset is connected to the Litecoin Scrypt mining algorithm. DOGE is also one of the faster and cheaper coins, showing increased usage in South America for moving assets in a fast and cheap manner. DOGE sees no support from its creator, Jackson Palmer, who is in fact quite skeptical of the price speculation for digital assets. DOGE is also a coin with an unlimited supply, and more than 118 billion DOGE have been created so far. DOGE is also extremely active on the newly arrived exchanges ZB.com, Bitforex, Gate.IO, and others, which are seen as generating faked volumes. The previous stagnation of DOGE prices, as well as the relatively low price per coin, is generating expectations for a renewed rally coming soon unless the current price spike proves to be an anomaly. DOGE is also most active on the Upbit exchange. The coin sees significant inflows of Tether (USDT) trading, up to 30% of the volumes, and also a strong DOGE/BTC market. The current rally of BTC is destroying some of the altcoin prices, and DOGE will have to prove it can survive the dominance of the leading asset.